Check out these nine cool stress toys that put the “fun” in functional! Stress is inevitable. Practically everyone experiences it at various points in their lives, and that’s why it’s important to acknowledge its presence — and its damaging effects on health and wellness. This April, we celebrate National Stress Awareness Month. It’s a good time as any to shed more light on the causes of and cures for this modern epidemic. From a promotional standpoint, it’s a good time as any to choose stress toys as giveaways or promo items. When left unchecked, stress can lead to different health complications. These include mental health problems, heart disease, and even more pronounced symptoms of ageing. To combat its insidious effects, people need to learn how to manage their stress. One of the easiest and most fun ways to do that is to play with stress toys. These not only take the mind off bothersome thoughts, but they can also alleviate stress. Check out these fun stress relievers that are easy to carry around anywhere, anytime. What are stress toys? These are small, often handheld devices that relieve tension and stress from the mind and body by channelling excess energy, or serving as a temporary distraction. Perhaps the most well-known stress toys on the market are stress balls. These are soft, squishy balls that fit within the palm. Relieves Tension — The tightening and relaxing of the hand and wrist muscles when you squeeze the ball can relieve tension. Diverts Your Attention — Using stress balls can relax the mind so it eventually diverts your attention away from the source of stress. Stimulates Your Nerves — Working on a stress ball stimulates hand nerves, which connect to the brain’s limbic region. In turn, the limbic region releases relaxing hormones to induce a calmer state. Improves Your Mood — Using stress balls actually stimulates the brain to release endorphins. These act as natural pain relievers and improve the mood. Stress balls are also popular as promotional items, as they offer a good amount of printing space for your brand logo or message. Your recipients can easily reach for these and use them whenever they feel tension kicking in — and they’ll have you to thank for their stress relief. Make each day more fun and less stressful with stress shapes. These are differently-shaped items that are also good as stress relief toys. Logo X offers a wide variety of stress toys that come in different shapes and sizes. Even better, you can use these as your promotional products by branding them, and choosing a design that best fits your brand for the industry you’re in. You can have a unique stress shape item made especially for your promotion. Aside from the brand exposure, you will also provide your recipients with useful and appealing stress toys they’ll use and display. No need to worry about losing or leaving behind small stress toys with stress key rings! Your prospects can attach these to their bags and keys, and they’ll have them on hand wherever they go. Whenever they feel stressed out or anxious, your recipients can simply reach for these. They’re as accessible as they can be when paired with everyday items the average person carries around. Stress key rings can complement company IDs, house keys, or access cards. You can turn these stress key rings into promotional items by displaying your logo on their surface. This way, your recipients can take your brand with them wherever they go. This is one of the most innovative stress toys you will find on the market. It’s actually a fidget spinner, but it has a ballpen and touchscreen stylus on one end. On the other end of the pen, there is a built-in LED light. The axis spinner ballpen lights up when it’s spun around. Yet the best thing about it is it’s an everyday item due to its other functions, meaning it’s not at all impractical to carry it around. Your recipients can take it out whenever they need to give in to the urge to fidget. Whether they’re at home, at work, or on the road, they can use this innovative pen to alleviate their stress and anxiety. Make sure they remember you whenever they use their axis spinner ballpen! 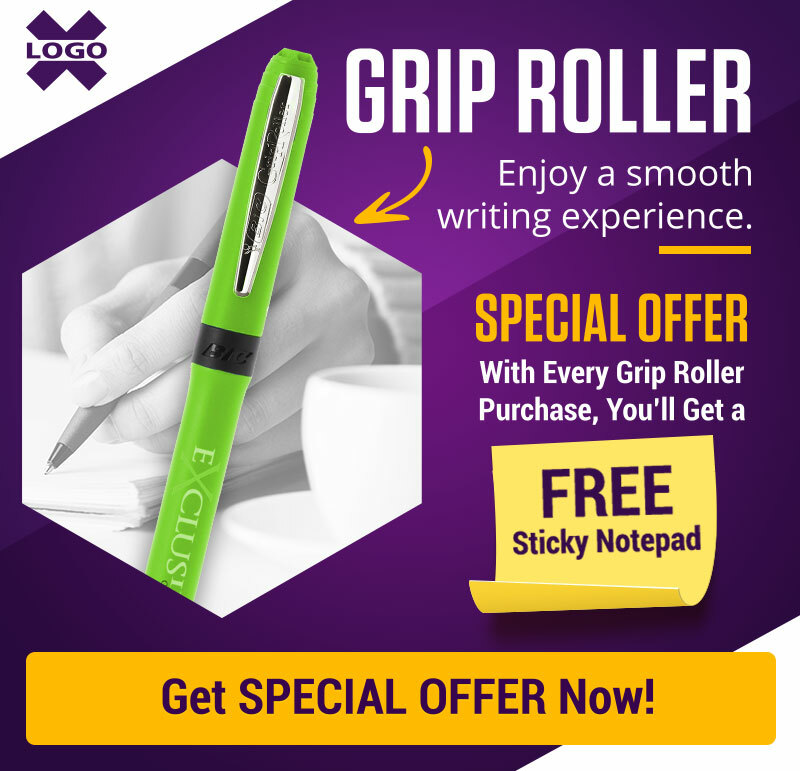 Don’t miss the opportunity to brand it as a promotional product for maximum exposure. The tri spinner ballpen is one of the best desk toys for work. These are three mini pens that combine to create a fidget spinner. When not in use, tri spinner ballpens are great stress toys. When your prospects need something to write with, they can simply unscrew any of its three mini pens which come with blue, black, and red inks. Its central disk also provides a free space which you can use to print your branding on. This is another great promotional product your employees and clients will find entertaining and functional. If you think bubble-blowing is just for kids, think again. Blowing bubbles requires deep and controlled breathing, which promotes stress relief and relaxation. Breathing exercises are basic relaxation techniques. Taking slow and deep breaths have a calming effect on the body. This act also encourages people to focus only on their breathing and not on stressful thoughts. For these reasons, bubble blowers are great as stress toys. Both children and adults alike can bond together to enjoy the simple act of blowing bubbles. Aside from that, bubble blowers also offer a great opportunity for branding. It has a printable surface which you can take advantage of to create a fun promotional item. One of the common manifestations of stress is a headache. The scalp massager provides quick relief from headaches and stressed muscles. This is a portable massage tool that looks similar to a basic egg beater. To use the scalp massager, place its extenders over your scalp and gently press down using the handle. This will cause an oddly relaxing tingling sensation, which is quite easy to get used to. Do this repeatedly to get rid of headaches, relax sore muscles, and promote good blood flow. The scalp massager’s handle leaves just enough space for promotional branding, or a short message from your brand on health and wellness. Let your employees and clients take a quick break with a sand timer. Watching the sand flow is relaxing, and they can use the time set by the sand for some quick meditation. Logo X offers a sand timer that comes with a special surface you can print your brand logo on. Sand timers are great stress toys that people can keep on their desks for easy access. People who like solving puzzles when they’re stressed will enjoy the Rubik’s highlighter set. It’s a set of three magnetic highlighters with yellow, blue, and pink inks, and it’s shaped like a Rubik’s cube. Your recipients can play mix-and-match with the cube to display different designs from any side. These are also ideal promotional products as you can print your brand logo and message on the cube’s surfaces. Stress toys are fun ways to relieve stress at work, home, or during any stressful situation you find yourself in. Invest in any of these and put them to good use. They will help alleviate anxiety and tension, and make you feel more relaxed and calm. Managing stress is essential to live a healthier and more productive lifestyle! What’s your go-to stress toy and how does it help relieve your stress? We’d love to hear from you in the comments section below!